Master printmaker Utagawa (Andō) Hiroshige’s Fifty-three Stations of the Tôkaidô is among the most celebrated works of Japanese art. For the first time in 25 years, CMOA presents prints from our first Hōeidō edition; 55 in total, created between 1831 and 1834. The series depicts the spectacular landscapes and interesting characters encountered along the journey from Edo (now Tokyo) to the imperial capital Kyoto. The Tokaido road was the most heavily-traveled route between these two important cities, figuring heavily into popular Japanese art and culture in the mid-1800s. Hiroshige made hundreds of images on the subject throughout his career. Visitors can follow the progress of the journey along the gallery walls, moving from location to location. In a unique twist, visitors will see examples from Hiroshige’s other series on Tokaido—Reisho, Gyosho, Kichizo, and Aritaya editions—to illustrate the artist’s varied approach to the same subject and innovations of vantage point, perspective, and scale. 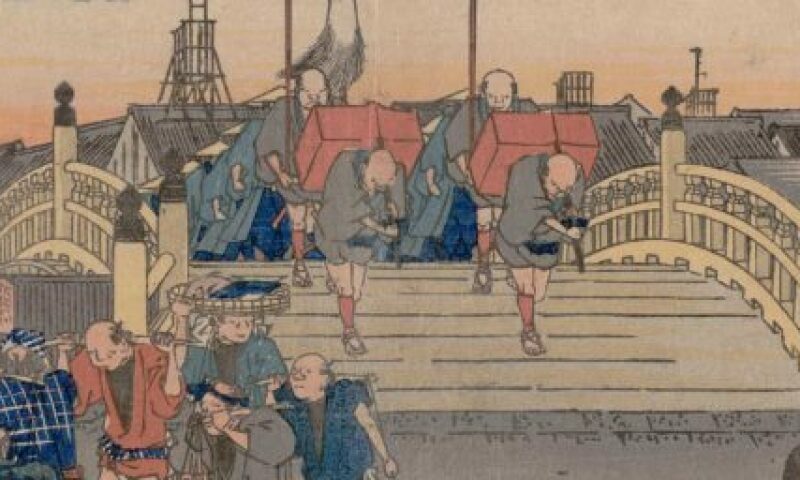 The exhibition will also feature multiple impressions of the same Hōeidō print to demonstrate variations in the color woodblock printing process, stressing the uniqueness of each singular impression. Different representations of the same station will branch out from the main “path” of the Hōeidō set. Hiroshige’s Tokaido Road is organized by Akemi May, Assistant Curator of Fine Art at CMOA. Major support for this exhibition is provided by the E. Rhodes & Leona B. Carpenter Foundation. Additional support is provided by the Bernard S. and Barbara F. Mars Art Exhibition Endowment.